To open the Create Buy Order, you can filter what you want and chose the amount, unit price, then click Create Buy Order. 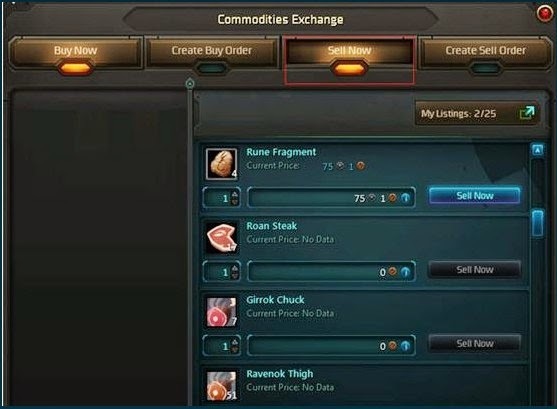 When you submit the order, the price and commodities apply to your requirement in Sell Now, you can get it! In the Sell Now, it would demonstrate the commodities you can sell. Each commodity has a Current Price, it means the highest price some players afford. If you click Sell Now, it would sell out right now. You would get the WildStar through mail. In the meantime, you can enhance the price so that this commodity can enter into your sell list. 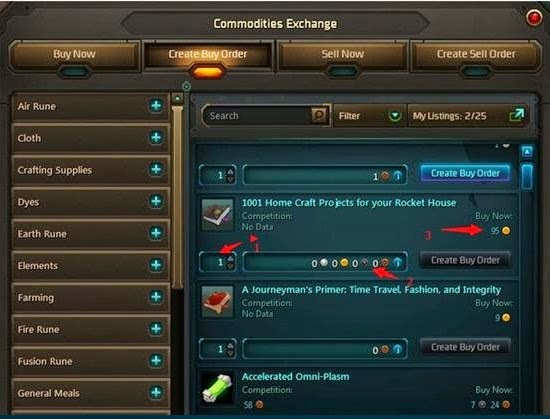 In the end, all trade in WildStar Auction House charge parts gold as commission. While, the face to face trade can save some money!